Why does your business need a professional eBay Store and Listing? Make sure you stand out from your competitors on ebay with a professional ebay shop deisgn and ebay listing template from Web Legs. Do you already have an existing eCommerce store and want to match branding with your eBay store? Are you new to trading on eBay and understand the importance of a professional eBay store design, or if you’d like a matching eCommerce site and an eBay shop we can help. Typically eBay store owners who also have a professional listing template enjoy an increase of sales up to 25% by having an eBay store designs professionally. A store design and eBay listing template make your business credible and trustworthy helping buyers feel more comfortable buying from you. One of the biggest advantages of eBay that Amazon don’t offer is the ability to build your own brand at the same time as selling. eBay store designs and listing that co-brand with existing eCommerce sites, large businesses that want more brand exposure and start-ups that want to start their brands on eBay benefit. Grab this opportunity with both hands and build your brand on the biggest eCommerce platform in the world with a high quality eBay design for your storefront and products. Our eBay designs automatically sync with your ebay store CMS. Any categories made in your store will reflect in our designs. If products are no longer available for sale and the category is empty, our design will dynamically change so that your potential customer are not sent to empty pages. 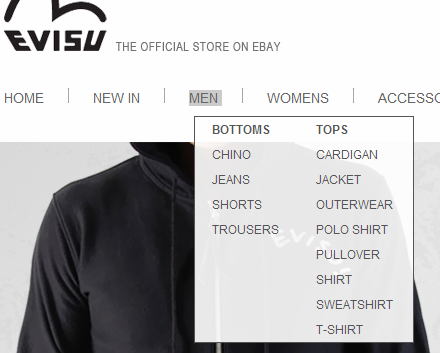 eBay store category names show on the left hand side of the navigation. If you are interested in drop down / mega menu dynamic categories we also provide that option too. We understand that promotions come and go and reaction to a promotion needs to slick. 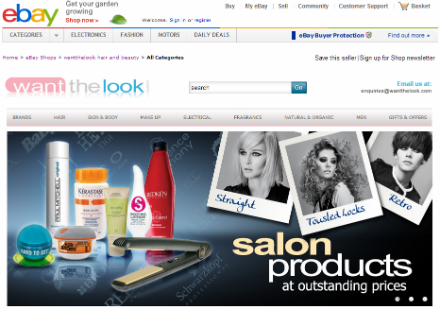 We have developed and provide software to manage your promotional banners on the eBay Storefront. A user friendly editor allows you to upload new banners and assign easy ebay category or product hyperlinks. It is widely known that mega menu categories options work best for a customer and give them category options that take them to exactly where they want to navigate with fewer clicks. This will typically lead to a much higher conversion rate and aids more products to be bought as visitors navigate through your eBay Store. If you add new categories they are dynamically created in the mega menu automatically. 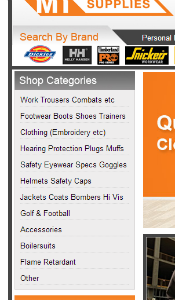 The multi-column mega menu is available with our premium and custom eBay design service. We understand the latest ways for customers to navigate for products on the web, and we have brought this to eBay store designs with our products arrow slider. 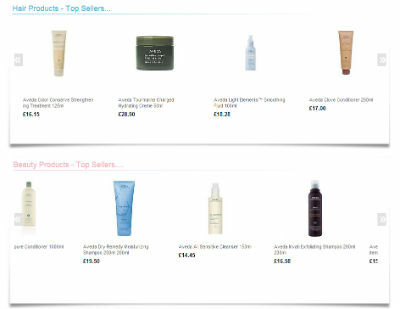 Customers are able to use the left and right arrows to quickly see your latest ebay or best sellers. 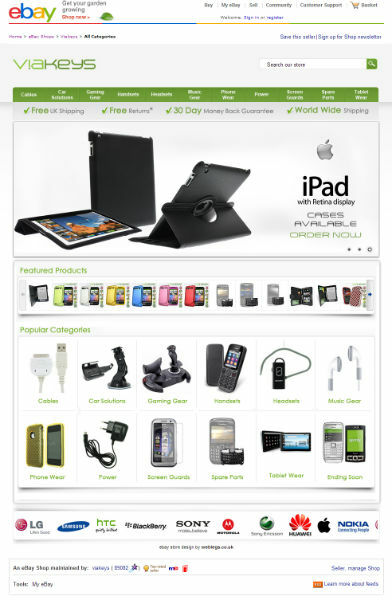 The product slider allows you to maximise eBay web space and provide a great user experience to your customers. Call or contact us using the form to get a specific quote for your requirements. Proven strategies from marketplaces experts, delivered straight to your inbox.